i agree. 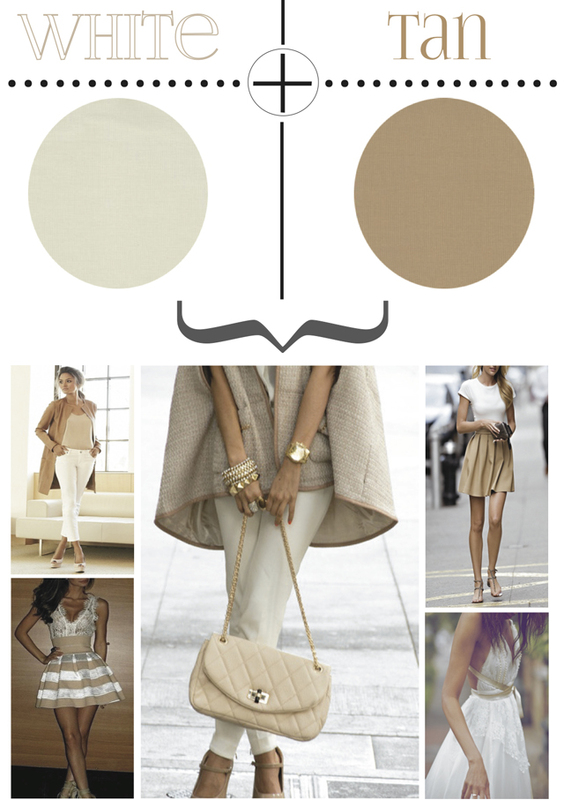 white and tan happens to be one of my fave color combos- no matter the season! xO! fantastic colors match! i like your suggestion Marla! Love this color combo ! Looks so good ! I would certainly wear it ! Beautiful color combination and great post! I love the pictures you included and I am totally the same way - I rock white ALL year long! Thanks for the recent comment on my post. Hope we can keep in touch. I just recently found your blog and absolutely love it! I love your collages, the layout is beautiful and lots of great outfit ideas. Thanks for the blogger tips earlier!